Everybody’s buzzin’ about the coming release of The Hunger Games. So, I decided to take a look into Josh Hutcherson’s acting past. He’ll be playing Peeta Mellark, co-staring with Jennifer Lawrence (Katniss Everdeen.) 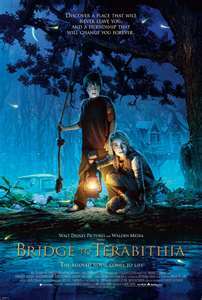 What better place to start than Bridge to Terabithia? 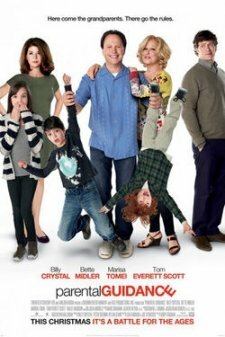 This movie came out a few years ago, in 2007. Based on Katherine Paterson’s book, all I remember was that it was about a fantasy world with trolls that looked like school bullies. Oh, and that it had two amazing actors. And that I loved it. I don’t quite remember what it was that made me love it but recently, I reread the book and rewatched the movie. And then I found the reason why I loved it. Artistic-handed Jesse Oliver Aarons would prefer to blend in with the crowd, coming from a large, financially struggling family where he feels as if he doesn’t belong. On the other hand, Leslie Burke, his new, well-off neighbor and already the weirdo/outcast of the school, is open-minded, has a great imagination, and is not ashamed of who she is. Even with their differences, they form an amazing friendship, and become the king and queen of Terabithia, their fantasy world. It’s only until a terrible tragedy occurs that Jess realizes what Terabithia has brought out in him. Many people expected a Narnia-like film, coming from the producers of Narnia. Yet the storyline is not about the kingdom, but rather the moving friendship between such contrasting characters. Leslie challenges Jess to open his mind and see things he hasn’t seen before. Even hours after I had watched the movie, I was still contemplating every aspect that was brought out on screen. It’s about two very real characters and their famalies. It’s about their not-so-perfect relationships with their parents. It’s about dealing with financial struggles, tag-along siblings, and bullies. It’s about connecting with the coming-of-age audience. It made me cry. It’s definitely a tear-jerker. Josh Hutcherson (Jess) and Anna Sophia-Robb (Leslie) were absolutely beautiful in their roles, but the real screen-stealer was Bailee Madison, who played the little tag-along sister. I enjoyed it immensely, and I have to say, it will remain one of my favorite movies forever. Like I said, it gave me a lot to think about. Watch it with your family!! !